On the way to get my (current) favorite nachos in the world last week, I noticed a parking lot full of pickups in front of a building that was formerly a Dairy Queen. That (the number of trucks, not the closed Dairy Queen) is always such a promising sign. 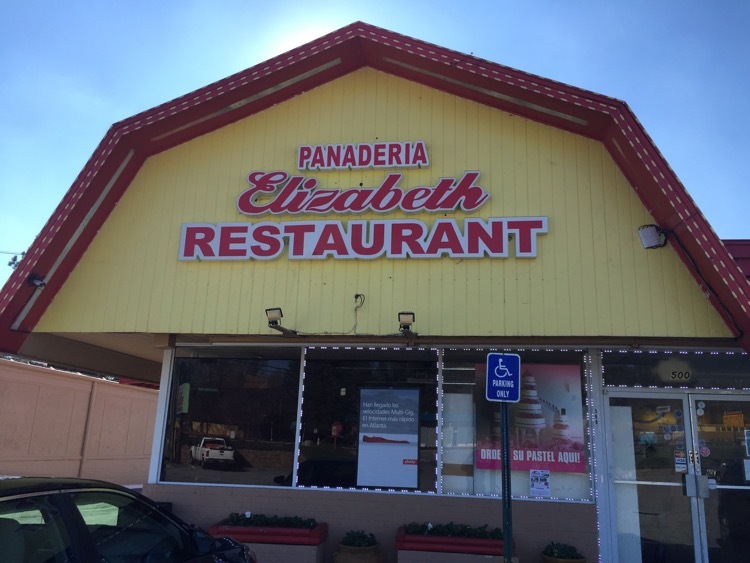 Driving back, I saw the sign for Panaderia Elizabeth Restaurant on the building and then, at the entrance to the parking lot, a sign for Salvadoran food. 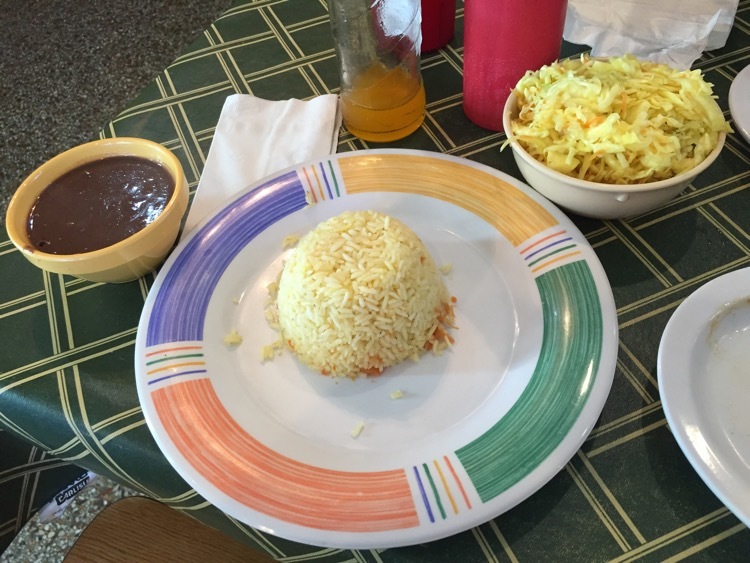 Salvadoran food means one thing, to me – papoosas. I had never had a papoosa until I met our daughter for lunch one day at Fiesta Mall and she had one in the food court. 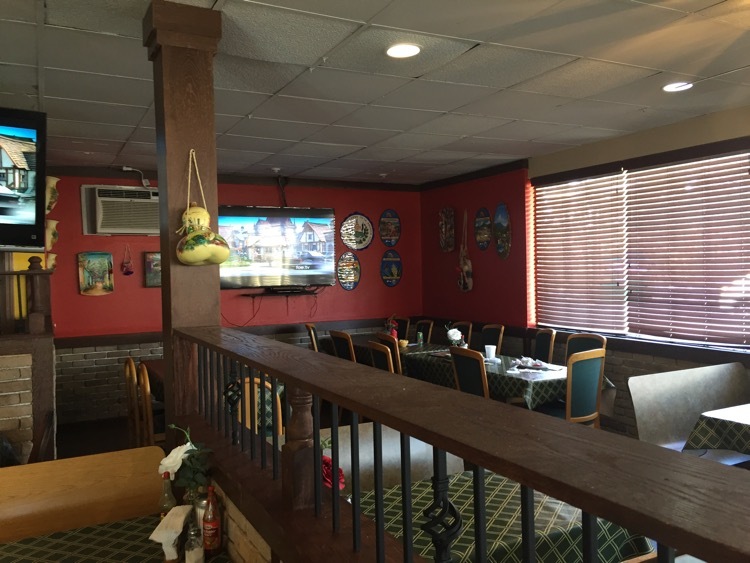 When she and I were looking for a place to meet this week, Elizabeth came to mind (although I kept calling it Dorothy’s…) The drink selection is all Central American, so I selected a Sidral Mundet – a Mexican apple flavored soda -and read through the menu while I waited. The front of the restaurant houses the pastry shelves (panaderia) and a lunch counter, with the dining room, off to the right, where we sat. We ordered two orders of two papoosas (to split). A papoosa is, basically, a stuffed corn pancake. 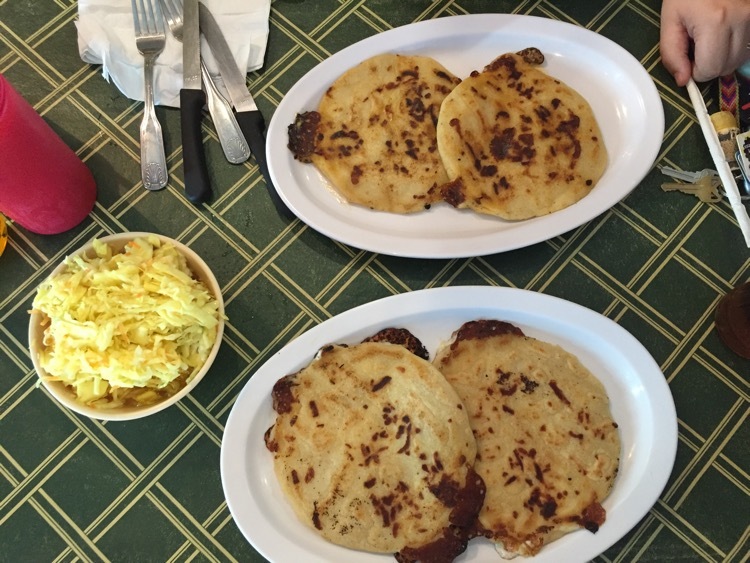 Think of it as a softer arepa or as a corn quesadilla, but they have a unique taste of their own. We had one pair filled with cheese and chicarones and the other with cheese and beans. And we had a family size side of rice and beans. Apparently, the typical family there does not eat rice and beans the way I do. Particularly when they are this tasty. The papoosas were both very good, but I enjoyed the cheese and chicarones one more.